Earn your insurance degree program online from an accredited school. Insurance is an extensive field with many different specialties and careers available such as automobile, health, commercial property, commercial liability, and personal property insurance. There are a number of licenses that are available that qualify individuals as insurance sales agents. Every sales agent involved in the insurance industry must have a state-issued license. License requirements vary by state but require insurance-related coursework and passing a number of exams prior to certification. Agents are often hired right out of college; many are hired by insurance companies as customer service representatives and are later promoted to sales agent. See all insurace degrees online below. 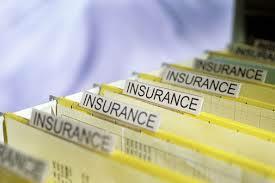 The primary fields of study for an Insurance Degree involve Underwriting and Risk Management. Insurance degree programs also focus on risk assessment, law, ethics, and insurance agency management. For degree programs, the prerequisites include a High School Diploma or GED and SAT's. Many Institutions prefer students to have an associate's degree in business or a related field prior to beginning your nsurance degree program. Students graduating from an insurance degree program can expect to find employment in the following areas: Actuarial services, Insurance claims, Risk assessment, Underwriting, and Insurance sales, for example. As of today, there where approximately 434,000 Insurance sales agents employed in the U.S. Half work for Insurance brokerages and agencies, and 22% were self-employed. An equal number work for Insurance carriers directly. There is also employment at banks and securities brokerages as well. Total employment for all insurance sectors was over 2 million! With a well-established career, as well as having a degree Insurance sales agents can easily expect to advance to higher levels in the field such as actuarial, management and others. Employment is expected to grow at slightly above the employment average with 12% or better growth over the next 10 years. You can find top college scholarships to help you pay for your insurance degree. The total value of the US Insurance industry was just over $1.2 trillion. Globally the industry grew by 6% and U.S. Growth is projected to be generally equal to the global growth. While this may not be as "fiery" as other industries and sectors, the sheer volume of growth and the size of the market is a strong indicator of the value and security of the industry and its corresponding value to you and your career future combined. Don't wait another day and find the perfect insurance degree programs online above.